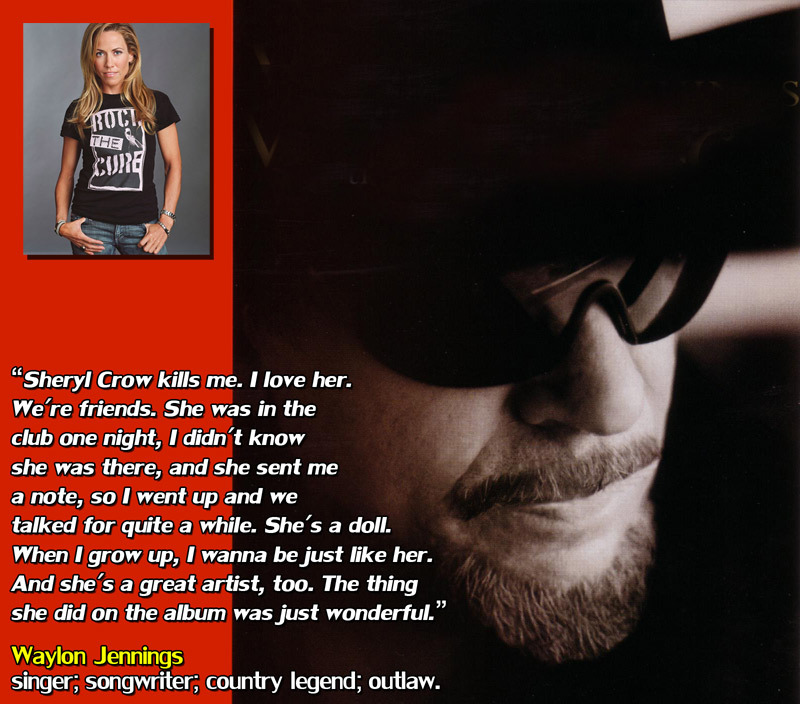 I love the fact that Sheryl has collaborated and worked with all the Highwaymen: Willie Nelson, Kris Kristofferson, Waylon Jennings and Johnny Cash. Heck, Johnny even covered a her song! How many women in the music biz have had this privilege? Very few, you bet! And how sweet is the quote above?